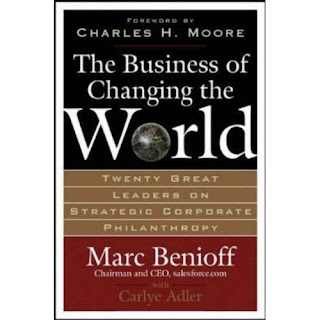 In the Business of Changing the World, 20 exceptional leaders share the untold stories of how their companies are making a real difference through corporate philanthropy-and how any company can do the same .Through their compelling,instructive stories,these visionaries reveal how giving back to the community makes them better citizens,providing proven models and best practices for corporate responsibility. Doing well by doing good! !